Bleed The Man started in mid 2007 as a project band in the town of Alcudia, Mallorca (Balearic Islands - Spain). Later the band moved to the city of Inca which is the hometown of four of their members. After few changes, at the beginning of 2008 the band got the first stable line-up members: Jose A. Joyas (Lead Vocals), original singer of the band “Hatelevel” and guitar player of death metal band “Linear Phase”; Pedro Alvarez (Guitars), ex-member of “Filthy Liers” and “Pequeño Diablo”; Ben Markham (Guitars), who’s previous bands were “Blasthema”, “X-Plicit” and “TXS”; Francisco J. Delgado (Bass), who played in “Blasthema” and “X-Plicit” bands; and Miquel A. Riutort (Drums), original lead singer and guitarrist of the black metal band “Agorazheim” and drummer of “X-Plicit” and “Linear Phase” bands. From november 2008 until june 2009 Bleed The Man played several shows across the island of Mallorca making the crowds that assisted going absolutely insane. After this period of live performances the band decided to spend more time composing and arranging existing and new songs. After a short demo tape of 5 songs, in late 2009 the band started recording what would become their debut album “Behind The Walls Of Reality” at the Psychosomatic Recording Studio in Inca (Mallorca) which was published by the austrian metal label Noisehead Records in july 2010. The album release was followed by the production of the music video “The Darkened Sun” which was very well reviewed and has appeared in many websites and tv shows like “Insani TV”. After a period of shows in september 2010 the bassist Francisco J. Delgado left the band due to personal reasons. Miquel A. Riutort stepped out from behind his drumkit to face the role of bass player and Arturo Fernandez (ex-Hatelevel and Inner Sight) became the new drummer. The band played many live shows through 2010, 2011, 2012 and shared stage with international bands like Sepultura (Brazil), Parkway Drive (Australia), The Agonist (Canada), Avulsed (Spain). Bleed The Man started the recording for the new album on June 2012. The band decided to work again at the Psychosomatic Recording Studio (Inca - Mallorca). 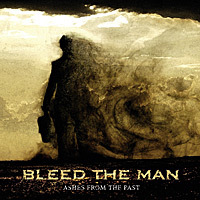 The result was a variety of tracks covering almost any of the musical influences and genres that are part of Bleed The Man. Powerful tracks can remind of a modern death metal style (with fast tempos and blast drums), mid tempo songs could fit into metal core genre, but there are also some melancholic songs that were chosen also to fit in the track list.